And just who might be disproportionately represented among those barred from giving their consent to their governing? In Florida, the state that tipped that election, 10 percent of the population is ineligible to vote because of the ban on felons at the polls, Mr. Holder said. “Although well over a century has passed since post-Reconstruction states used these measures to strip African-Americans of their most fundamental rights, the impact of felony disenfranchisement on modern communities of color remains both disproportionate and unacceptable” he said…. The question of how people vote is contentious, particularly since the Supreme Court struck down part of the Voting Rights Act last year. That decision allowed states to pass voting laws that would otherwise have needed federal approval. But still, good on him for getting this out there, and in the terms he used. Racism isn’t a residue of times gone by, eroding with each passing year. It’s not a state of mind, something that is or isn’t in someone’s heart. It inheres in the actual decisions made, consequences sought and embraced, that result in harm done to specific individuals and groups. It lies at the heart of the choices being made right now, overwhelming by one political party, the GOP, as it attempts to return to the pinnacle of power. Holder’s making that clear in surprisingly (to me) uncompromising language. Good. This is how both Overton Windows and, over waaaaay too much time, actual policy shifts. How to express the sorrow I feel for the families and friends in mourning after the Newtown school murders? As many of you know, I have a young son, twelve now. Every day I walk him to his public school in a suburb of Boston. As I write this paragraph, I’m just about to head home to take him to his martial arts club — the kind of ordinary thing parents do. The notion that I could have hugged him at the school door at 8 a.m. and then at lunch received that unspeakable phone call? 7. States with stricter gun control laws have fewer deaths from gun-related violence. 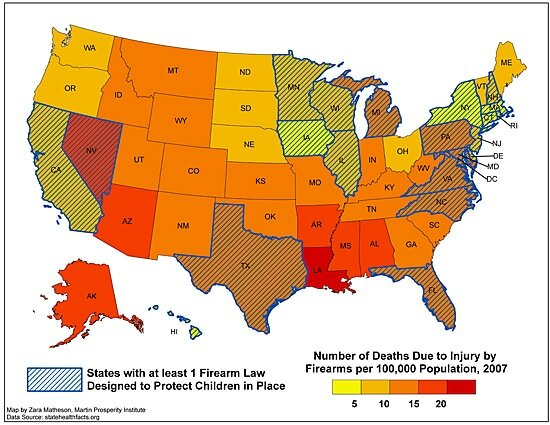 And yes, just in case there are any gotcha gun nuts reading this: I’m aware that Connecticut with its relatively strong gun laws was the site of today’s tragedy. That’s (part of) the problem — the most rigorous gun laws in this country are a shadow of what they are in other, less murder-stricken lands, and the state-by-state patchwork of laws combined with the interstate highway system means that even the strongest local protections are leaky as hell. So, as I say, check out all that Ezra has to offer on all this; this is one of his good ones. The only other thing I want to say right now is that I think it’s important to politicize the hell out of this event…but towards particular policy goals. But for now…well I’ve been pecking at this between kinder-transport duty and dinner and dishes, and I’ve just come downstairs again from a longer-than-usual bedtime cuddle. My son and I talked a bit about the shootings, and he took the news on board without really letting me know what he thinks about it. He does that — he guards his counsel until he’s decided what his parents need to know. But I wouldn’t be surprised if he knew why I squeezed him tonight harder than usual. Stay safe, everyone, and hold close those you love. 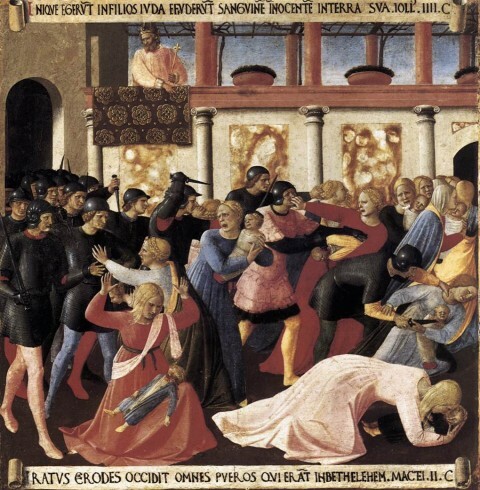 Image: Fra Angelico, The Massacre of the Innocents, between 1451 and 1452. 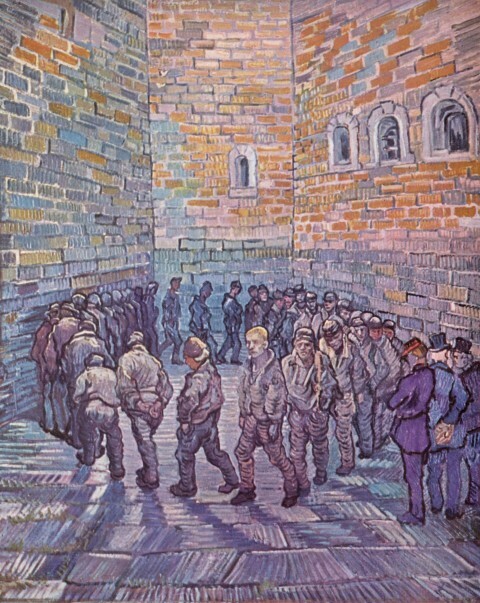 …Unlike what happened here, German laws and regulators have also prevented the decimation of their labor unions. The clout of German unions, at individual companies and in the political system, is one reason the middle class there has fared decently in recent decades. In fact, middle-class pay has risen at roughly the same rate as top incomes. The top 1 percent of German households earns about 11 percent of all income, virtually unchanged relative to 1970, according to recent estimates. In the United States, the top 1 percent makes more than 20 percent of all income, up from 9 percent in 1970. That’s right: only 40 years ago, Germany was more unequal than this country. Read the whole piece. Leonhardt points to German benefit reforms that he thinks we should pay attention to, and to the role of government in creating the conditions for economic and social success. And us? Well, lobbyists for the mortgage bankers and the N.A.A.C.P. have recently started pushing for less stringent standards for down payments. Wall Street is trying to water down other financial regulation, too. Some Democrats say Social Security and Medicare must remain unchanged. Most Republicans refuse to consider returning tax rates even to their 1990s levels. Republican leaders also want to make deep cuts in the sort of antipoverty programs that have helped Germany withstand the recession even in the absence of big new stimulus legislation. Some days, it seems like the only thing to do is stock up on canned goods. But I’ve got a kid, and I just can’t quite bring myself to abandon all hope. This bit of Leonhardt’s message does stick: if the Germans can do it, we can’t be wholly without a chance. 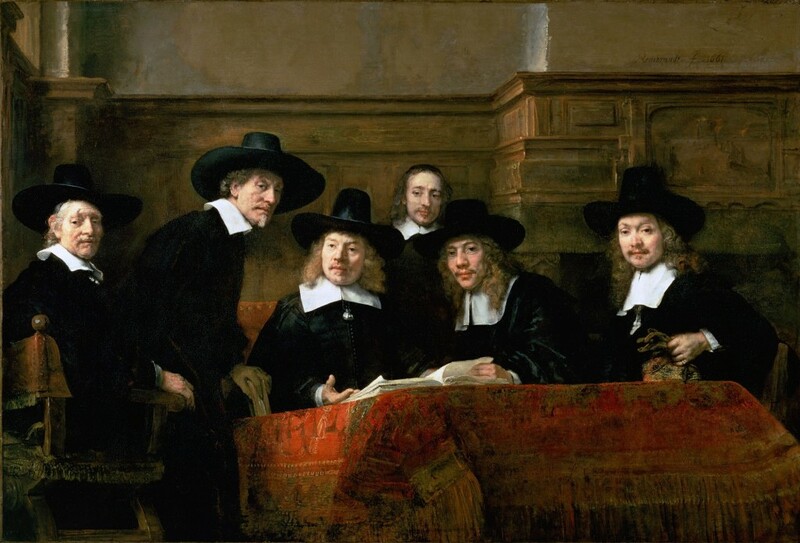 Image: Rembrandt van Rijn, The Sampling Officials, 1662.